Only for new A6 4G& A7 4G with S-tronic and RHD 2012 or later. Kit includes - Accelerator pedal cap, brake pedal cap and instructions. 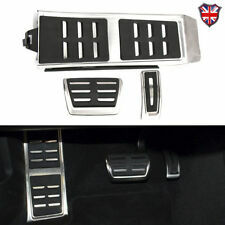 4 out of 5 stars - Genuine Audi A6 A7 Stainless Steel Pedal Covers - Automatic & RHD only. 3 product ratings3 product ratings - Genuine Audi A6 A7 Stainless Steel Pedal Covers - Automatic & RHD only. Audi A4 B5 B6 Clutch Master Cylinder. Donor Car: 2000 Audi A4 B5 Saloon 2500cc. The New and Used Audi Parts Specialist for all Audi models worldwide. Audi Part Number: 8E2 721 401. It may fit others. AUDI A6 C6 S-LINE GENUINE SET OF DOOR KICK PLATES. IV / HS / KA / KW / PA / PH / ZE / TR26 / TR27 / BT / IM / GY / JE / BF. SO WE CAN TRY TO RESOLVE BEFORE IT GETS TO THAT POINT. Most electronic components require programming after installation. Donor Car: 2003 Audi A4 B6 Avant 2500cc Sport. The New and Used Audi Parts Specialist for all Audi models worldwide. Audi Part Number: 8E2 721 523. It may fit others. AUDI A6 A4 AUTO BRAKE PEDAL RUBBER 4D1723173 . Will suit various Audi models and possibly other vag group vehicles.Condition is Used. Dispatched with Royal Mail 2nd Class. The New and Used Audi Parts Specialist for all Audi models worldwide. Audi Part Number: 8D2 721 523. It may fit others. 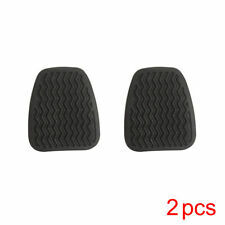 Audi A6 C5 A4 B5 Drivers Footrest Cream. Donor Car: 2002 Audi A6 C5 Saloon 2498cc. The New and Used Audi Parts Specialist for all Audi models worldwide. Audi Part Number: 8D2 864 777 B. Donor Car Colour: Bodywork is Blue LY5X. AUDI A6 C7 A7 4G. ACCELERATION PEDAL. (Taken from: 2008 AUDI A6 C6 S LINE 2.7 TDI BPP, BLUE LZ7R, AUTOMATIC GEARBOX KSY, SALOON). YOU WILL FIND MORE INFORMATION ABOVE. Audi A6 C6 Black Drivers Footrest RHD. Donor Car: 2006 Audi S6 C6 Avant 5200cc Quattro Sport. The New and Used Audi Parts Specialist for all Audi models worldwide. Audi Part Number: 4F2 864 777 B. It may fit others. Note audi a4/s4 (2010-2016)audi a5/s5 (2012-2017)audi a6/s6 (2011-2017)audi a7/rs7 (2011-2017)audi a8/s8 (2010-2017)audi q5 (2013-2017). Manufacture Part Number 4H0721891. Audi A6 C5 A4 B5 FL Drivers Footrest Blue. Donor Car: 2001 Audi A6 C5 Saloon 2996cc Quattro Sport. The New and Used Audi Parts Specialist for all Audi models worldwide. 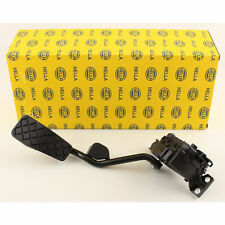 Audi Part Number: 8D2 864 777 E.
HI HERE WE HAVE AUDI A6 C6 2.7 TDI 2004-2008 ACCELERATOR THROTTLE PEDAL. It has been removed from AUDI A6 LE MANS 2.7 TDI 2007. AUDI A3 SPORT 1.9TDI PD 2004. BMW 318 2001 Saloon. AUDI A6 2.0 SE TDI 140 BHP 5 DOOR 2006. MODEL: SE TDI. SALOON 5 DOORS. AUDI A4 SE 1.8T AUTO B6 01/05. audi 2.5 v6 1999. Audi A3 1.8 turbo 2001 Green. 2006 AUDI A6 2.0 TDI 4DR CLUTCH PEDAL SENSOR. OUR REF / X454. 4F0 907 658 A / 4F0 910 658 A.
Audi A6 C5 A4 B6 Accelerator Pedal Diesel. Donor Car: 2005 AUDI A4 B6 Cab 2500cc. The New and Used Audi Parts Specialist for all Audi models worldwide. Audi Part Number: 8E2 721 523 C. It may fit others. Part No: 4F2721523. Taken From The Model: Audi A6 2.0 TDi Saloon S Line 2006. Body style4 DOOR SALOON. Apex Car Breakers Ltd. An item has been previously used. Number of doors4. Version date to2008-09-01. MON – FRI 9AM – 6PM. DEPENDING ON THE SIZE AND WEIGHT. I reserve the right to send the parts that are not always in the picture. Will ask for proof/invoice of work done by specialist in cases of claims. Donor Car: 1999 Audi A6 C5 Saloon 2771cc Quattro. The New and Used Audi Parts Specialist for all Audi models worldwide. Audi Part Number: 8D2 721 523 B. It may fit others. DONOR CAR: 2008 AUDI A6 S LINE SALOON 2.0 TDI AUTO. BEFORE YOU SIGN FOR THEM . Compatibility of Parts. Manufacture Part Number 4G1864777A3Q7. Note audi a6/s6 (2011-2017)audi a7 sportback (2011-2017)audi rs6 (2013-2017)audi rs7 (2014-2017)only fits lhd vehicles! 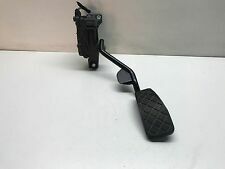 $Audi A6 C7 2011-2014 2.0TDI AUTO BRAKE PEDAL 8K2723140A Audi A6 C7 2011-2014 2.0TDI AUTO BRAKE PEDAL PART NUMBER - 8K2723140A REMOVED FROM A6 C7 ESTATE S LINE 2011 2.0TDI COVERED 24K MILES WE SUPPLY GENUINE USED AUDI PARTSWe maintain a clean and safe environment and are fully licensed and regulated by the Environment Agency. Audi parts available off the shelf, and because they are all genuine parts, quality and correct fitment is always guaranteed. Please do not hesitate to email or call us if you have any inquiries Contact numbers- 07807118497 or 07581379600 Please be aware that all items may have usage marks on them in the form of scratches as they are not brand new GLASS AND BODY PANELS WE PREFER LOCAL COLLECTION DUE FRAGILE NATURE BUT WILL POST HOWEVER IT IS DONE SO AT BUYERS RISK. Audi A6 C4 Grey Drivers Footrest. Donor Car: 1995 AUDI A6 C4 Avant 2771cc Quattro. The New and Used Audi Parts Specialist for all Audi models worldwide. Audi Part Number: 4A2 864 606. It may fit others. Audi S7 / RS7 4G C7 2010-2017. Audi A7 / S7 / RS7 4G C7 2010-2017. Audi S6 / RS6 4G C7 2011-2018. Audi A6 / S6 / RS6 4G C7 2011-2018. 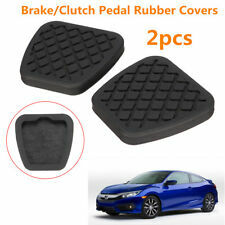 Accelerator / gas pedal pad. For RHD vehicles ONLY! 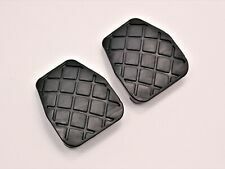 Stainless steel Pedal Pads - OE code: 4G2064205A. ACCELERATOR PEDAL. 2002 AUDI A6 2.0 SE 4DR AUTO. Part Number : 8E2721523A. ACCELERATOR THROTTLE GAS PEDAL. Audi A6 C5 1.8 FSI. Donor Car: Audi A6 C5 1.8FSI Saloon. From 2000 > 2005. confirm yourself that the item is what you require. unless clearly described as spares/repairs. The pedals include brake, throttle and footrest for automatic change. -For A6 C7 S6 RS 6 2011 -2015. - The pedals are not compatible with the driver on the right side. Part:Accelerator Pedal. Model:A6 Saloon 2.8 V6 Quattro APR Engine code. We will do our best to resolve any problems you may have. All our parts are security marked before being dispatched. IV, HS, KA27-28, KW, PA, PH, ZE, BT, TR and PO. DEPENDING ON THE SIZE AND WEIGHT. PH16-PH26 / PH30-PH41 / PH49-PH50. I reserve the right to send the parts that are not always in the picture. Will ask for proof/invoice of work done by specialist in cases of claims. Pedal Throttle. Removed from a 2008 Audi A4 2.0 141Bhp - 5 Door Estate - Diesel - 6 Speed Manual - Engine Code CAGA. A4 2008 To 2011. “Great Bridge Parts” has high reputation for both quality and service and believes itself to be the market leader in vehicle recycling in West Midlands. Fits:-Audi A6 C5 models from:- 1997 to 2004 with Part Number:- 8D2721523F. For Sale:-Audi A6 Throttle Pedal. New arrivals. You won't find cheaper prices anywhere! High quality products at amazing prices. Electronic accelerator throttle pedal. If the item is found to be tampered with in any way, the warranty will not be valid. PART NUMBER - 8D2721523E. AUDI A6 2.5 TDI V6 AUTOMATIC. 4 DOOR SALOON 2003. ACCELERATOR THROTTLE PEDAL. South Yorkshire. The Blue Containers. AJ SPARES is a large independent Vehicle Dismantlers. ANY QUERIES CALL. My aim is to make sure you are always 100% happy! 2006 AUDI A6 C6 2.0 TDI ACCELERATOR PEDAL. Note audi a4/s4 2010-2016audi a5/s5 2012-2017audi a6/s6 2011-2017audi a7 2011-2017audi a8/s8 2010-2017audi q5 2013-2017audi rs6 2013-2017audi rs7 2014-2017. Manufacture Part Number 4H1723173A. Donor Car: 2005 Audi A6 C6 Avant 2400cc Sport. The New and Used Audi Parts Specialist for all Audi models worldwide. Donor Car Colour: Bodywork is BlackLZ9Y. Interior trim is Grey N7U/ NQ. Audi Part Number: 4F2 864 777 A. There are lots of idiots buying and selling on ebay, we do not consider ourseves one of them and would appreciate it if you could check part numbers against your part to avoid being considered one of them. 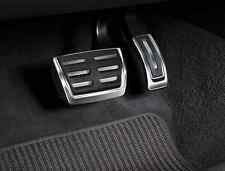 The procedure with the fixing of the pedals is Pedals as models vary & change in car design could. Put the strap with screws and bolts on the pad for the pedal. Locate the correct position of the foot pad, mark the position of the holes and drill the original pedal. Part No. 4F2721523. 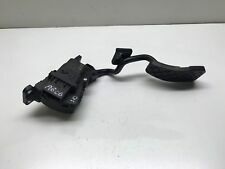 GENUINE AUDI A6 C6 2.0TDI ACCELERATOR THROTTLE PEDAL 04-08.